Although one of the oldest particle characterisation techniques sieve analysis remains an essential part of granular sizing technology. We manufacture ISO standard stainless steel sieves of all diameters and mesh sizes. All sieves are certified and an option to calibrate is available. Your requirements are manufactured to order within a few days. All the above are fully stainless steel. All the below have a mild steel body. Ro-Tap ® Sieve Shakers have 278 oscillations and 150 taps per minute as specified in some ASTM and other sieving applications. 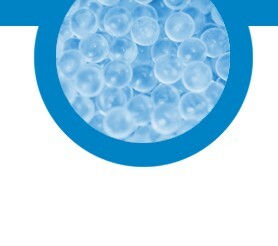 Horizontal, circular action combined with vertical tapping assures accurate and consistent results. These shakers are designed for heavy-duty use and bolt easily to a solid table or sturdy bench top. All models feature an adjustable-plate sieve support and built-in 99 minute x 0.1 second digital timer. Powerful 1/4hp motors provide plenty of action for efficient separations. For models operating on 230V/60Hz power, add "S" to the model number. Sieves are ordered separately and a sieve cover is required. SS-30 8in W.S. Tyler ® Ro-Tap ® Sieve Shaker holds up to six full-height 200mm or 8in (203mm) sieves with a full-height pan, or thirteen half-height sieves with a half-height pan. Recommended particle size range is No.4 (4.75mm) to No.635 (20µm). Dimensions: 28x21x25in (711x533x635mm), WxDxH. SS-31 12in W.S. Tyler ® Ro-Tap ® Sieve Shaker holds up to four 300mm or 12in (305mm) full-height sieves and pan, six intermediate height and pan, or eight half-height sieves and pan. Recommended particle size range is 1/2in (12.5mm) to No.500 (25µm). Dimensions: 28x21x25in (711x533x635mm), WxDxH. SS-33 8in W.S. 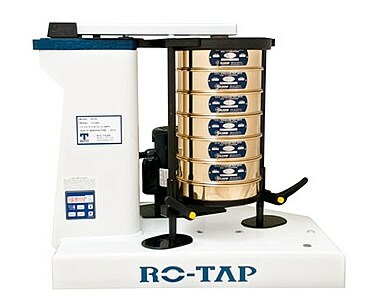 Tyler ® Ro-Tap ® II Sieve Shaker performs two 8in (203mm) sieve tests simultaneously with exactly the same action as the single-stack models. Recommended particle size range is from No.4 to No.635. Dimensions: 31x27x26in (787x686x660mm), WxDxH. SSA-320A Sound Enclosure for SS-30 or SS-31 Ro-Tap ® Sieve Shakers has a steel cabinet lined with 1in (25.4mm). thick acoustic foam. Two front doors and a top-opening panel allow easy access. A small access port is built-in to the rear of each unit. SSA-321 Sound Enclosure has all of the same features as the SSA-320A, but it is dimensioned to fit the larger SS-33 Ro-Tap ® ll Sieve Shaker. SSA-325 Test Stand for SS-30 and SS-31 can be used with or without the SSA-320A. The sturdy aluminium frame includes hardware for assembly and floor anchoring.